Learn Serve Lead 2017: The AAMC Annual Meeting, starts Nov. 3 in Boston, Mass. While Boston is well known for its place in American history, the city is also home to numerous ground-breaking discoveries that have a place in medical history. Many of those discoveries happened at Boston medical schools and teaching hospitals. At Massachusetts General Hospital in 1846, William T.G. Morton, a dentist, performed the first pain-free surgery, with the use of inhaled ether. In 1919, the first infant formula was developed at the Floating Hospital for Children (now at Tufts Medical Center). The formula, eventually named Similac, is now used to nourish babies worldwide. 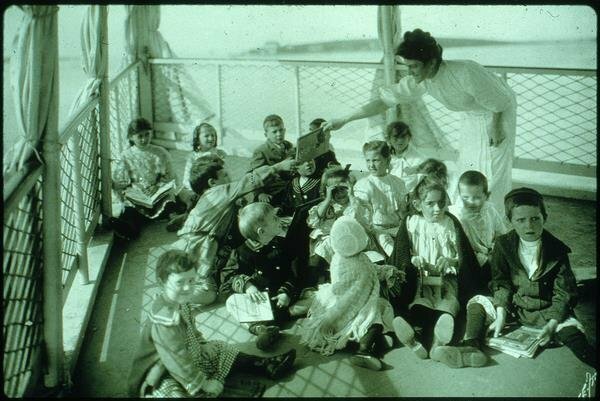 Young patients sit on the deck of the Floating Hospital for Children in the early part of the 20th century. In 1938 at Boston Children’s Hospital, Robert Gross, MD, a physician credited with ushering in the era of modern cardiac surgery, carried out the world’s first successful surgical procedure to correct a congenital cardiovascular defect. Between 1946 and 1971, David Littmann, MD, an innovative cardiology researcher in the Veterans Adminstration Boston Healthcare System, did pivotal work in the field of electrocardiography. He also invented the Littmann stethoscope, which is still in use today. A team of researchers at Boston Children’s Hospital successfully cultured the polio virus in 1949. This led to the development of the vaccine and earned lead scientist John Enders, PhD, the Nobel Prize in 1954. Enders’ group is also credited with culturing the measles virus and developing the measles vaccine. In 1954 at the Peter Bent Brigham Hospital (now Brigham and Women’s Hospital), a team led by Joseph E. Murray, MD; J. Hartwell Harrison, MD; and John P. Merrill, MD, accomplished the first successful organ transplant involving a live donor. Thirty-six years later, Murray shared the Nobel Prize for his achievements in organ transplantation and his subsequent work developing immunosuppressive drugs. 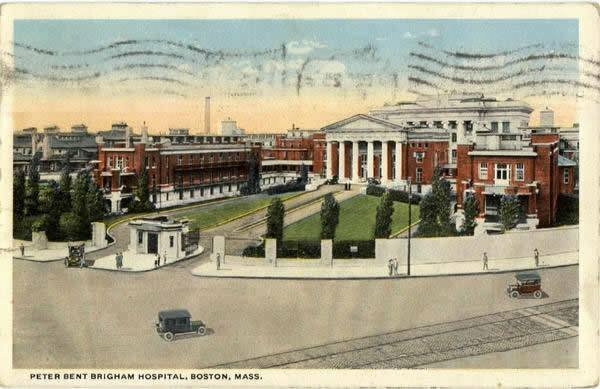 A postcard, circa 1919, features an illustration of Peter Bent Brigham Hospital. In 1958, researchers at New England Medical Center (now Tufts Medical Center) identified (and coined the term) immunosuppression. The discovery paved the way for great progress in the field of organ transplantation as it helped researchers develop medications to reduce the chances of organ rejection. In 1962, a Massachusetts General Hospital surgical team accomplished the first successful reattachment of a severed human limb, the arm of a 12-year-old boy. Researchers at Massachusetts Eye and Ear isolated the first hereditary human cancer gene (retinoblastoma gene) in 1986. This discovery provided new insight into the most basic underpinnings of cancer and ushered in a promising new area of cancer study. 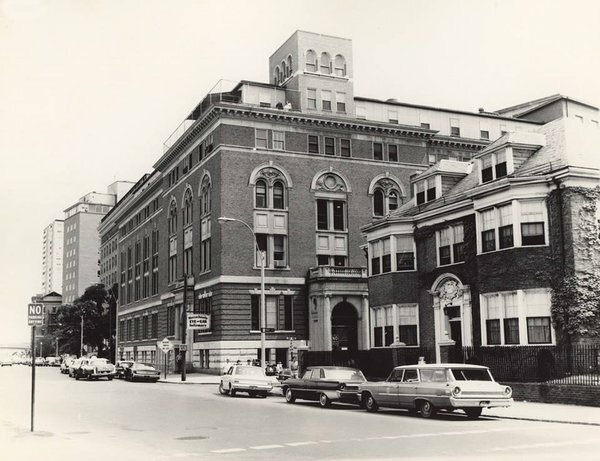 Massachusetts Eye and Ear main campus in the early 1960s. T cell role in immune system. During the 1980s, researchers at the Dana-Farber Cancer Institute found that the immune system is “turned on” by helper T cells and “turned off” by suppressor T cells. This became crucial to AIDS researchers because the HIV virus infects and destroys helper T cells, eventually rendering its host defenseless against a variety of diseases. Many thanks to John Erwin, executive director of the Conference of Boston Teaching Hospitals, for providing the information for this article. Photo credits: Conference of Boston Teaching Hospitals.